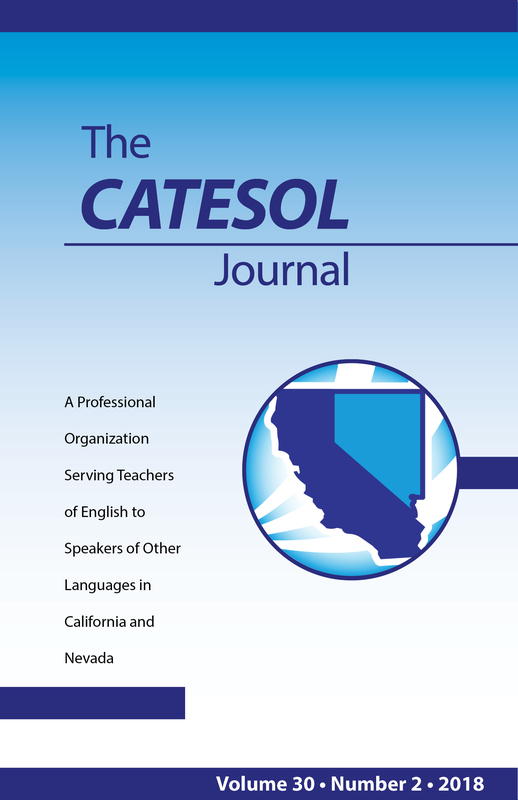 The CATESOL Journal is the official journal of the CATESOL organization. CATESOL represents teachers of English language learners throughout California, promoting excellence in education and providing high-quality professional development. The CATESOL Journal is a refereed, practitioner-oriented academic journal published twice a year. The CATESOL Journal is listed in Linguistics and Language Behavior Abstracts, and the full text is available through ERIC and the EBSCO’s Education Source database. Articles in The CATESOL Journal focus on theory, research, pedagogy, and educational policy related to the teaching of English to speakers of other languages, including US-born bilinguals, Generation 1.5 students, immigrants, and international students. The CATESOL Journal aims for inclusivity—focusing on all educational levels, from kindergarten to university, as well as on adult school and workplace literacy settings. The CATESOL Journal is published twice a year. Electronic versions are available at www.catesoljournal.org. 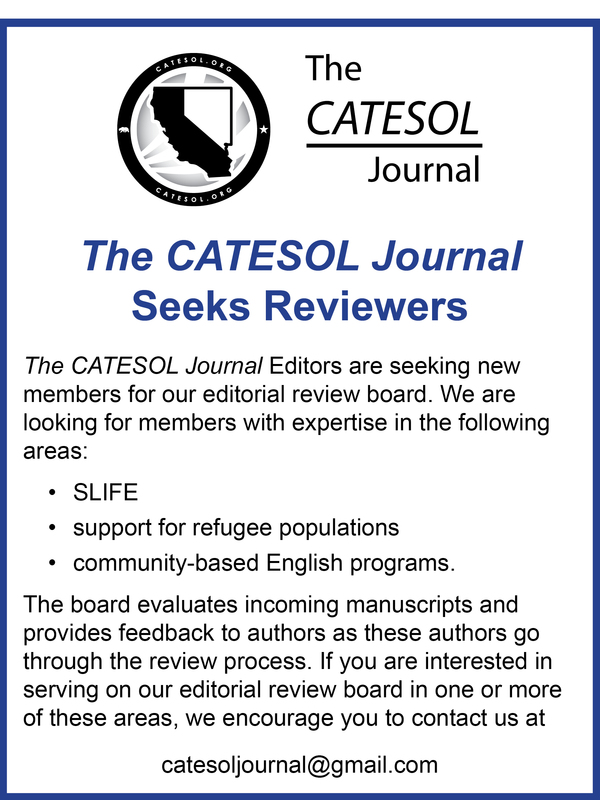 Communication regarding permissions to reprint should be addressed to Mark Roberge, Editor, The CATESOL Journal, Department of English, San Francisco State University, 1600 Holloway Avenue, San Francisco, CA 94132. Email catesoljournal@gmail.com. Membership inquiries should be directed to Membership at http://catesol.org/contact. Telephone: (714) 369-5094.